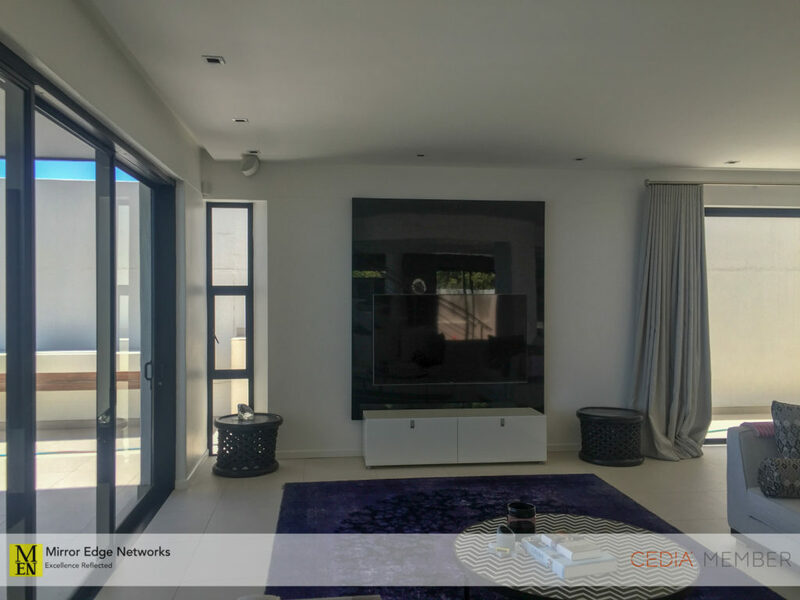 Last year we supplied and installed this stunning 75″ Ultra High Definition television to a client of ours in Bantry Bay. This is the process of us installing a custom manufactured floating television panel, painted in gloss black to compliment the television. A few months ago she asked us if we could do something a little different for her. 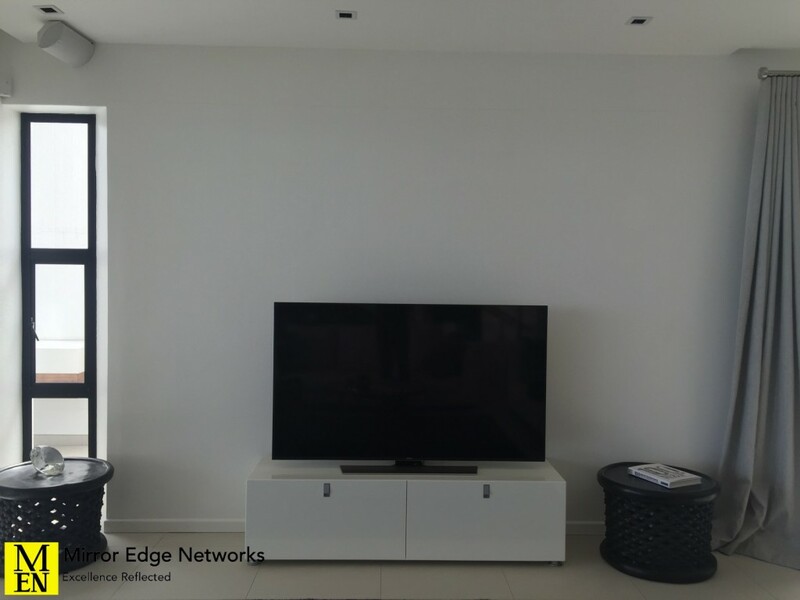 Install something into the room that would make the television a feature, but at the same time that would make the television blend in. 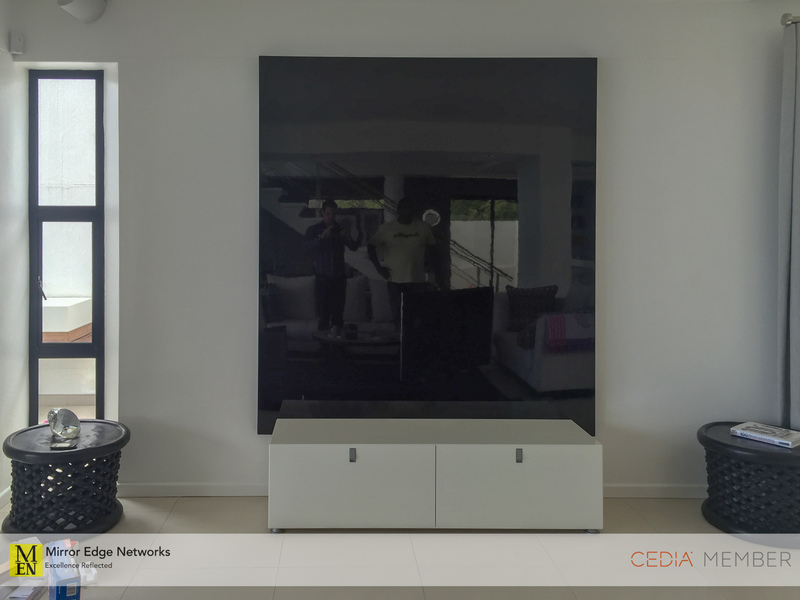 Our natural suggestion was a floating television panel from ODE. For something a little different though she suggested that the floating television panel should be black instead of white or a timber finish. At first we thought that might be a bit overpowering in the room, but after seeing the installation we certainly appreciate her judgement and her decision. 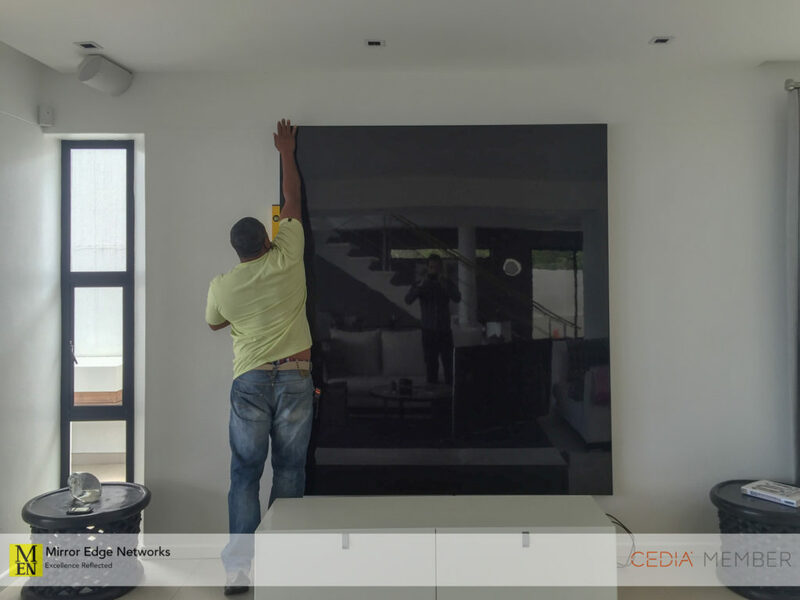 So we started the process of installing this new feature panel for her ultra high definition television. The high gloss black panel took longer to manufacture than normal as the black shows up every little detail. This meant that the factory actually resprayed the panel twice to build up additional pain on the panel, meaning that once it had been polished an almost mirror like finish is visible. Even though the television is black on the black television panel, it is critical to ensure that it is perfectly level. 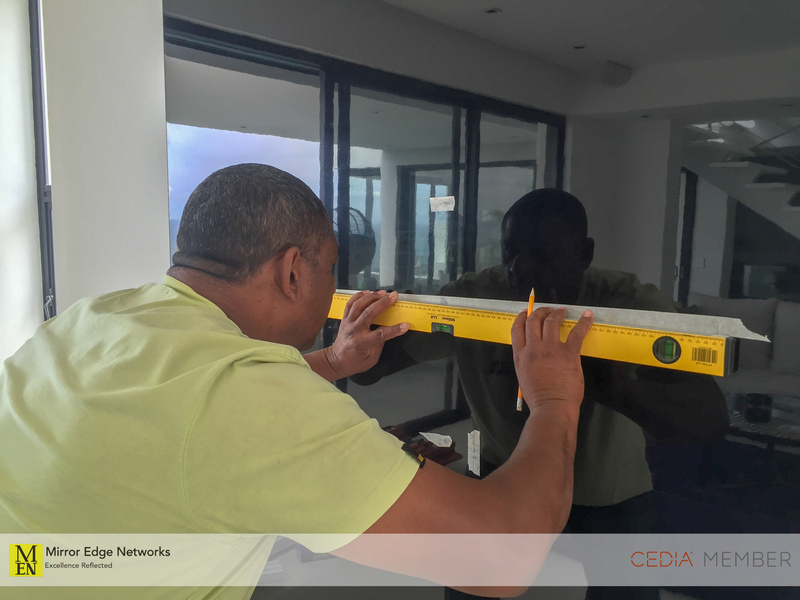 There are so many straight lines in our clients home that anything that is not straight is immediately noticed. 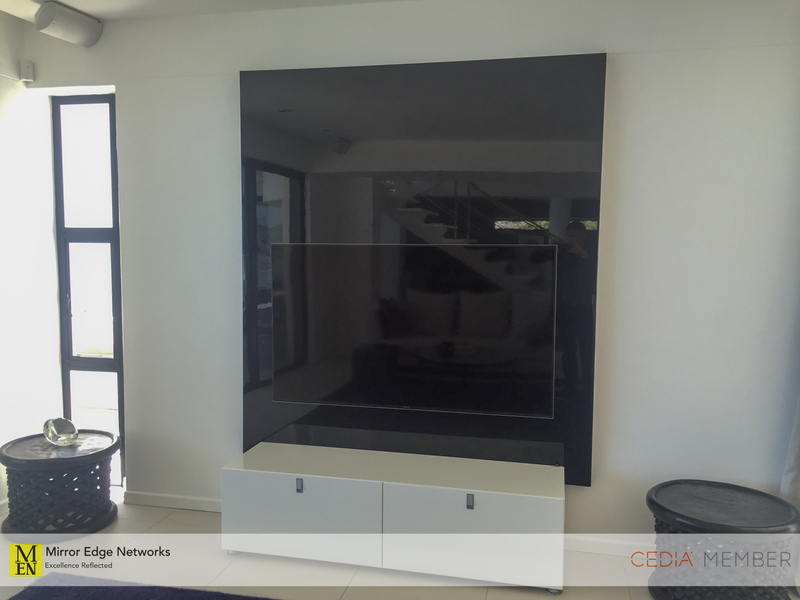 As our client had suspected, the black panel would make a feature of the room without making the television the focal point of the room. A great way to integrate the television. This would have to be one of our favourite ODE floating furniture installations to date. If you would like a solution like this, get in contact with us so that we can discuss your requirements and plan it out with you.